Are you looking for no deposit car finance? If you’ve applied for car finance before, you’ll know that a lot of companies will ask for a deposit to put down. This can be difficult to get together, with many of us not having that kind of disposable income to put towards a car. When you apply with UK Car Finance, you can browse our huge selection of cars on finance that are available with no deposit from our trusted dealer partners. If we have nothing in stock that tickles your fancy, then that’s no problem. We can provide car finance for cars available to buy from a choice of trusted FCA approved dealership in the UK. So, if you’ve already fallen head over heels with that Honda Jazz or you’re swooning over a Suzuki Swift then we’ll do everything we can to get you into the driver’s seat. We can offer competitive interest rates and boast an outstanding 98% acceptance rate so you have the best chance of getting an excellent car finance deal with UK Car Finance. If you’re after second hand car finance with no deposit then look no further than UK Car Finance. We’re wizards at this car finance stuff, so we can help you find an excellent used car finance deal in no time at all. As well as sorting out your car finance, we also have a selection of second hand cars that you can browse on our site from trusted dealers. You can filter them by your monthly budget so it’s never been easier to find a car that you can afford. We can help arrange you a car finance deal with no deposit to pay. Our broker service is completely free to use so there’s no reason to not use us to help you find a good deal on your car finance loan. How do I apply for no deposit car finance? Applying for car finance with UK Car Finance is really simple! Our application form takes just a minute to fill out and this will ping your details over to our in-house customer contact team. From there you’ll receive a quick introductory video from your personal car finance expert explaining what the next steps are and how we will get you your no deposit car finance deal. Your personal finance expert will then give you a quick phone call to confirm the details you provided are correct and ask what kind of car you’re after. They’ll then send your application over to the lenders on our panel that we think will approve you. After that you simply choose the best deal for you, sign the paper work and collect your car once the finance has been paid your dealer. Am I eligible to apply for no deposit car finance? We want to help as many people as possible get into a car, but there are a couple of requirements that you need to meet in order to help us to work our magic on your application. All good? Then let’s get you no deposit car finance! If you have bad credit, you may have heard that it’s impossible to get car finance. Thankfully, we have lots of options thanks to our large and diverse lending panel so we can be sure to find you a great no deposit car finance deal, even if you have a less than perfect credit score. 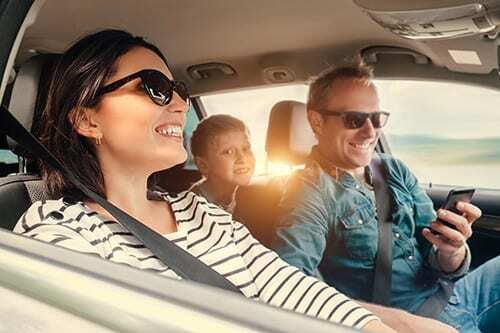 Before you apply for no deposit car finance, we’d recommend that you use our short application form in order to find out how likely you are to be approved with us should you apply. Our system performs a ‘soft credit check’ which means we won’t leave a trail on your credit report. You can see the search we made when you check your file, but other lenders won’t be able to. Too many searches on your credit file can cause unnecessary harm as lenders may view it as you are desperately seeking credit that you may not be able to afford. Our check won’t be shown to those lenders and therefore won’t negatively impact your chances of being approved. We’re sorry to burst your bubble, but no finance company can guarantee car finance. It’s impossible for any company to guarantee car finance and if you see a company advertising this then they are misleading you! We can’t promise that we’ll get you car finance with no deposit, but we can promise that our team will work their hardest to find you a car finance deal and give you honest, friendly advice about your car finance options. Our goal is to change the car buying process by putting you in control. No longer do you have to walk into a car dealership and feel pressurised into buying a car on finance that you’re unsure about. Now you can shop around for your perfect deal and browse our cars that are within your price range. This gives you the confidence that you’ll be getting the best finance deal possible for your circumstances. We’re based in Newcastle upon Tyne however we accept applications from all across the UK. If you’re local then pop in for a chat and a brew, we’re a friendly team and we love a good natter!